Possibly the best stage direction ever written comes from Shakespeare's "A Winter's Tale". In Act II, Scene iii, the direction simply reads, "Exit, pursued by a bear". 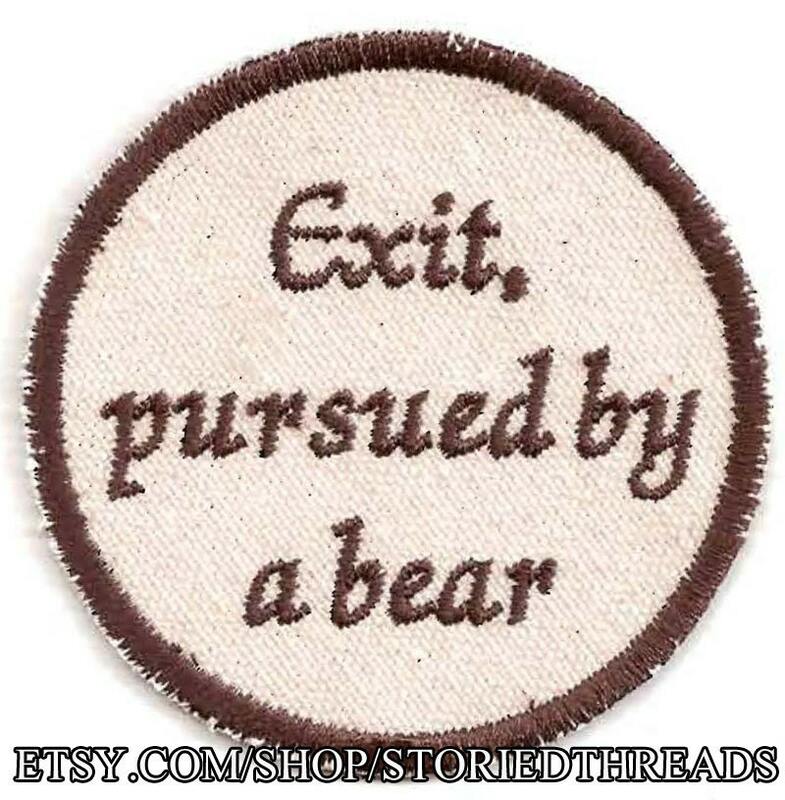 This sew-on patch is stitched in dark brown thread on unbleached cotton canvas and measures 3" in diameter. I like the patch, but the quality could have been a little bit better.